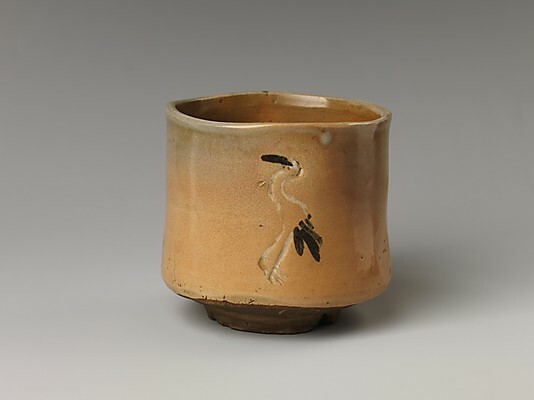 The design on this vessel can be traced back to the ubiquitous cranes of Goryeo celadon, which have been filtered here through an Edo-period Japanese sensibility. Rokubei's tea bowl is, in fact, a copy of a late seventeenth century Busan-kiln product (export ware made in Korea according to Japanese specifications), and the model he reprised was itself a nod to earlier prototypes (Goryeo period celadon and fifteenth- and sixteenth-century revivalist celadon exported to Japan). 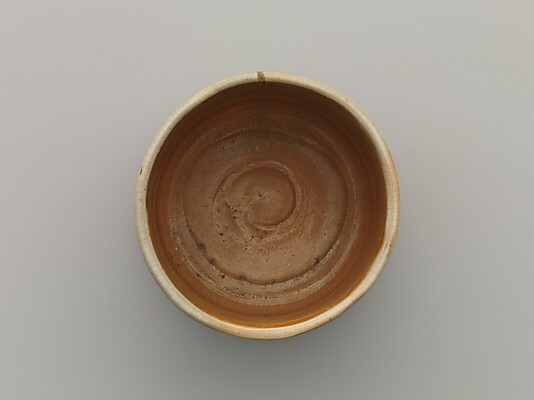 The Kyoto master affirmed his place in this prestigious lineage by literally leaving his mark: his seal is stamped near the base.